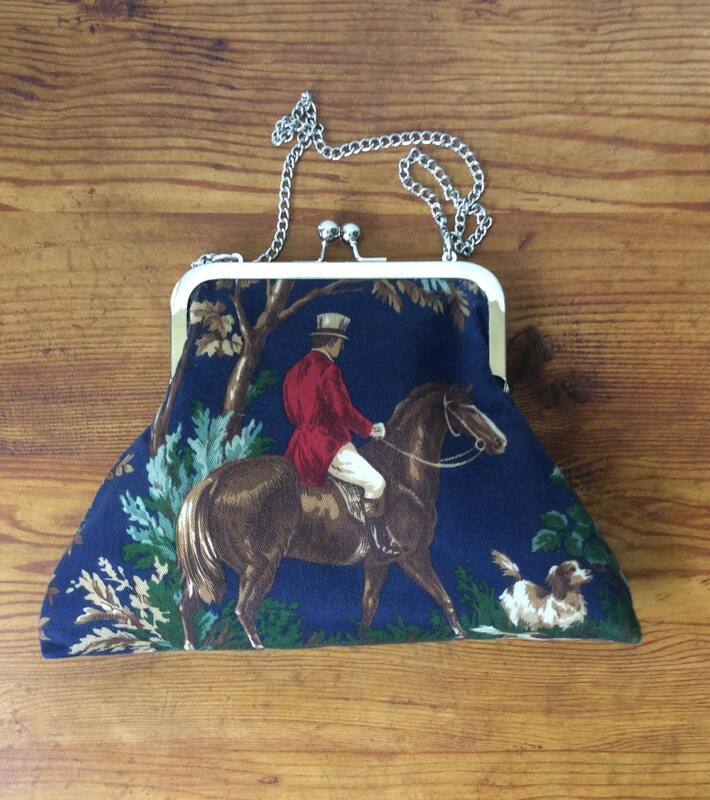 Beautiful navy blue equestrian bag. 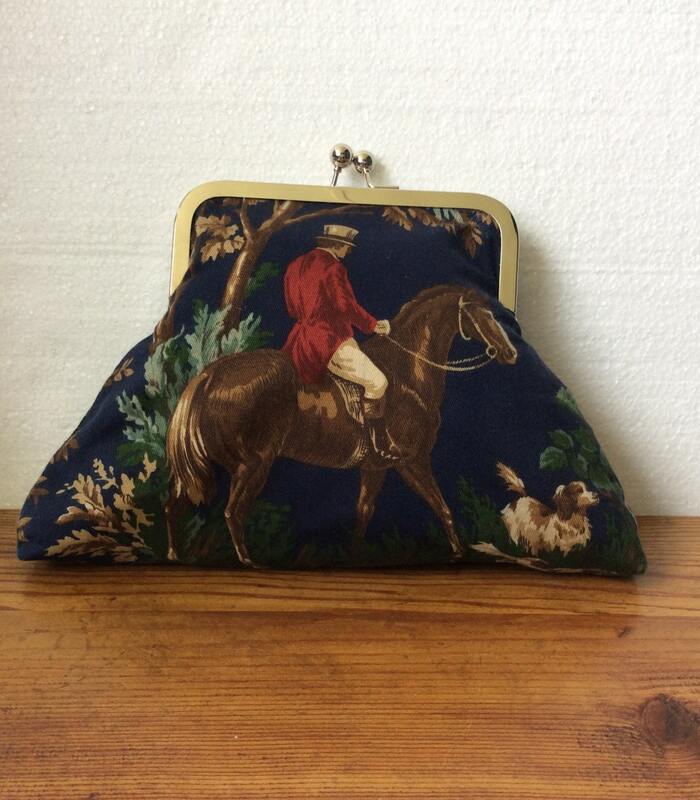 This bag is created with Ralph Lauren Ainsworth fabric depicting horse and hounds. 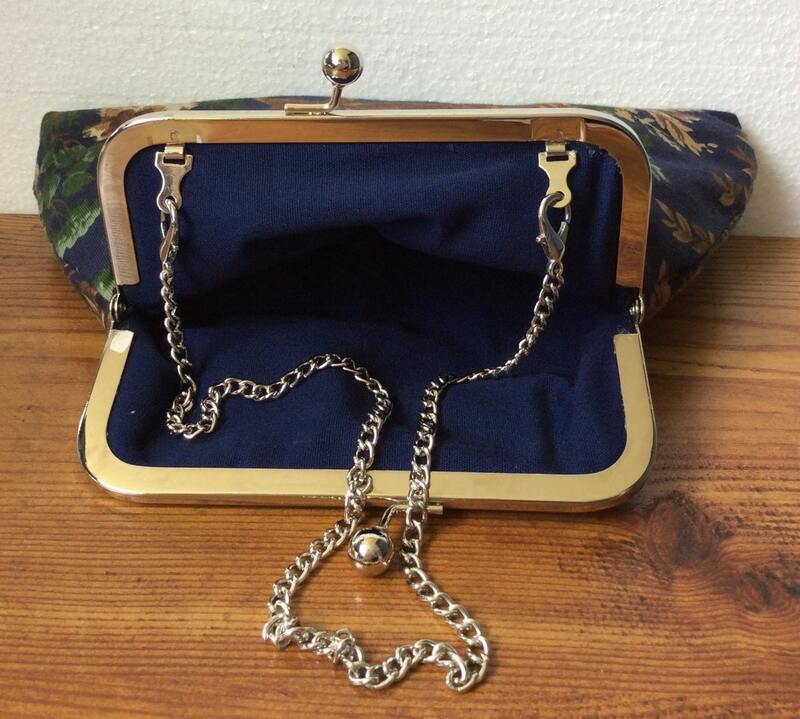 It has a silver 6” kiss lock clasp and comes with a removeable silver chain giving you the choice of carrying it as a clutch or hang from your arm. 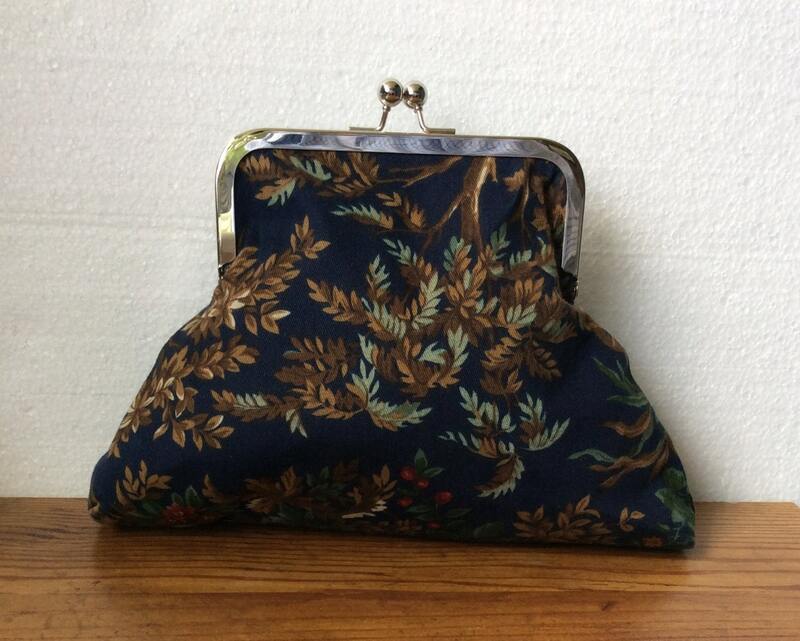 Can also be used as a cosmetic bag or put in a larger tote to use when you don't want to carry your big tote. This bag is lined with navy organic cotton canvas and is treated for soil resistance. The purse measures 10" wide at bottom of bag and 6" wide at top and stands 7" high. The purse can fit all your essentials: cell phone, keys, small wallet, cash, credit card, lipstick, brush and more. This bag is a classic that never goes out of style. Custom orders in this fabric are available if you have a purse size or style in mind. I can work with you in order for you to get exactly what you want and need. Message me with your specifications and I will quote you a price. Also available in a warm red. Please allow 2 weeks as this is a custom order.